For Chairperson of the Board Robin Bennett, a realistic and results-driven campaign is the way forward for SILC. Bennett was appointed Chair in November 2017 and anticipates working with the Council in the coming months to shape policy statewide. 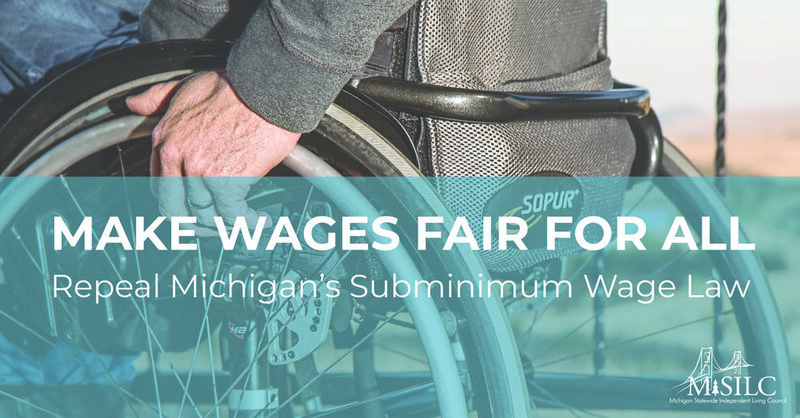 “I definitely want the average person in MI who has a disability to feel that the state has made progress to things that affect them in their everyday lives,” Bennett said. Born and raised in Michigan, Bennett was diagnosed with Friedreich’s Ataxia, a form of muscular dystrophy, at 12 years old. She has used a wheelchair since she was 14 years old. She received a Bachelor's of Science in Creative Writing and Theater from Eastern Michigan University in 2009. After college, Bennett found a position as volunteer coordinator with AmeriCorps VISTA, an experience, she said, that opened her eyes to the experiences of people of all abilities, not just her own. Currently, Bennett works for Charter Township of Canton as a Therapeutic Recreation Program Leader. She helps with camp, dances, parties and exercise classes for adults with developmental disabilities. She also works with Fourth Wall Theatre Company, a theatre company for people of all abilities. The company specializes in creating communication and social skill building while discovering unique talents and inclusion in the arts.